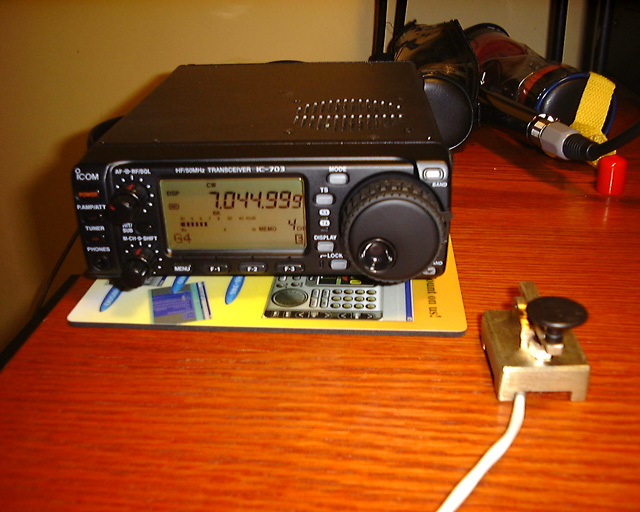 My IC-703, with a hand-made key built by my friend Matt KK5DR*. *Note: The key was a birthday gift, and was a one-time build. Please do not ask Matt to build one for you!